That’s what Janet Lee Stevens was all about, which explains her long association with the human rights watchdog. She had two halves to her life. One half was championing humanity and human rights. In the other, she was a rebel at heart. 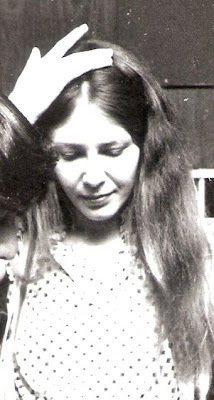 Humane, talented, self-reliant, ambitious, fearless, rebellious… Those are adjectives I would use to describe Janet who joined my Monday Morning staff in Beirut as a journalist in 1981. She resigned two months into Israel’s June 1982 invasion of Lebanon and its occupation of Beirut. She was killed with 62 others in the April 18, 1983, truck bombing of the U.S. embassy in the Lebanese capital, where she was lobbying for U.S. aid to war-torn Lebanon. 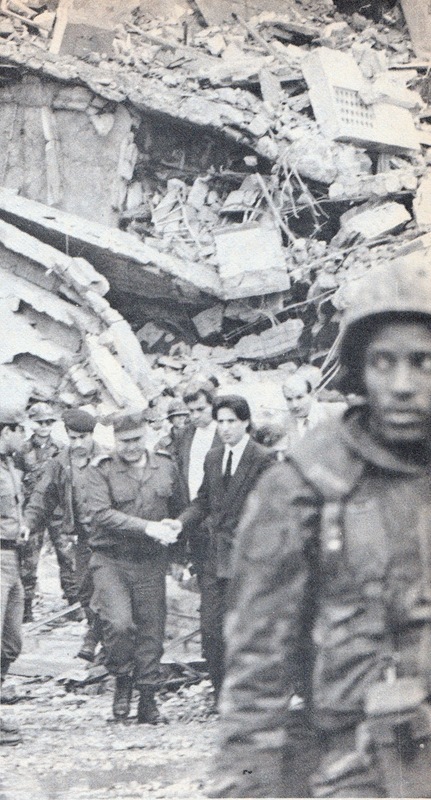 “Janet Lee Stevens was born in 1951 and died on April 18, 1983, at the age of 32, at the instant of the explosion which destroyed the American Embassy in Beirut. “As they sat at a table in the cafeteria… a van stolen from the Embassy the previous June arrived and parked just in front of the Embassy, almost directly in front of the cafeteria. “It contained 2,000 pounds of explosives. It was detonated by remote control. Tons of concrete pancaked on top of Janet and Bill, killing 63 and wounding 120. “Janet worked with Amnesty International until the time of her death. “She moved to Lebanon two years before her death from Tunisia and her passion was to become a successful investigative journalist. She worked in Lebanon at Monday Morning magazine and she left the magazine following the June 1982 Israeli invasion of Lebanon. She also worked during this period as a freelance reporter and as an assistant to Japanese journalist ‘Arata,’ a reporter for Asahi magazine in Beirut. It was on one of my trips to London in mid-1981 that Janet was recommended to me for employment in Monday Morning by Randa (“Randoush”) Yammine. In fact, on her graduation from the University of Pennsylvania, Janet first went to Egypt, where she learned to read and write Arabic. It was in Cairo that she met and married Taoufik Jebali, now the luminary of Tunisian theater. When she moved with Jebali to Tunisia, where she spent nearly five years, she kept up her learning of Arab and Islamic culture and the Arabic language at Zaytouna University. Beirut and Monday Morning came next. The features she wrote for the magazine reflected conditions in the country. Her first, published in December 1981, was titled “Behind the [TV] Screen” and focused on readers’ queries and TV companies’ answers about poor reception and programming. 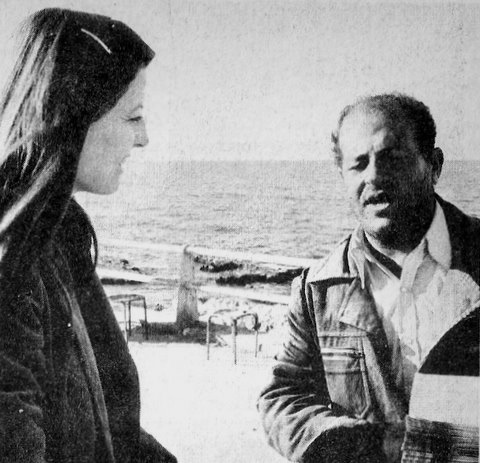 In February 1982, she wrote about “Lebanon’s Lady Luck,” focusing on the then 40-year-old National Lottery and the blind lottery ticket seller she chose to interview on Beirut’s seafront boulevard. Janet’s 10-page news feature titled “The Lebanese Survival Manual” appeared in the week preceding the invasion. “Slaughterhouse Lebanon” was Janet’s farewell piece for Monday Morning. Published on July 12, 1982, it focused on the “thousands of civilians who were maimed and wounded” in the invasion. According to The Middle East Center at the University of Pennsylvania, “Janet Lee Stevens was a doctoral student of Arabic literature in the Department of Oriental Studies (now the Department of Near Eastern Languages and Civilizations) who became devoted to the language and culture of the Arab world. She expressed her affection by setting for herself the highest critical standards of learning and by her deep commitment to promoting tolerance and understanding of the peoples whose literature and civilization she grew to love. “Janet spent the last few years of her life immersing herself in the region, conducting important scholarly research, writing honestly about events she observed, arguing for compassion in human affairs and tolerance of ideas in the realm of the intellect. She took great personal risks in her constant efforts to mitigate the harsher qualities of life she encountered. Past recipients of the award include Uri Horesch, Adnan Zulfiqar, Ed Webb, Ludmila Zamah, Dr. Jack G. Shaheen, Audrey Shabbas, Alexa Firat and Gail Pressberg. My last post in this series will be about the sixth victim, Krikor Ohannes, aka Coco.